… and I’ll explain in a moment how it works. Over the years I became convinced that, yes, it’s definitely an important formula. Problem is, even though it’s a simple concept, it seems complicated because it looks at living systems, especially social systems, in a new light… and because implementing it in today’s world might push modern technologies to their limits. When I started this series of articles two months ago I speculated that the formula might also apply to life beyond the Earth, that is, to the worlds of spirit. Then when I started writing this article a few days ago I was stunned. The complications all melted away into a simple elegance when I applied the formula to the worlds of spirit. The formula is complicated to use here on Earth because life on Earth is complicated. Life in the worlds of spirit is simple and elegant, and the simple concept behind the formula (I believe) is what has nourished the entire omniverse forever… including life on Earth. I realize that it sounds like a contradiction: Implementing the formula on Earth would be complicated, even though it has always been used on Earth and everywhere else in a simple, elegant way. Well, this article resolves that contradiction by showing conclusively that the complications and convolutions of life on Earth are temporal illusions, while the simple elegance of finer spirit has always been real and true. Suddenly the little formula provides answers to some of life’s biggest mysteries… I think. I’ll try to explain it in this article, and we’ll see if you agree. If you could take all of the complex economic formulas in today’s world and toss them on a table, they might be something of a treasure trove to an economist. 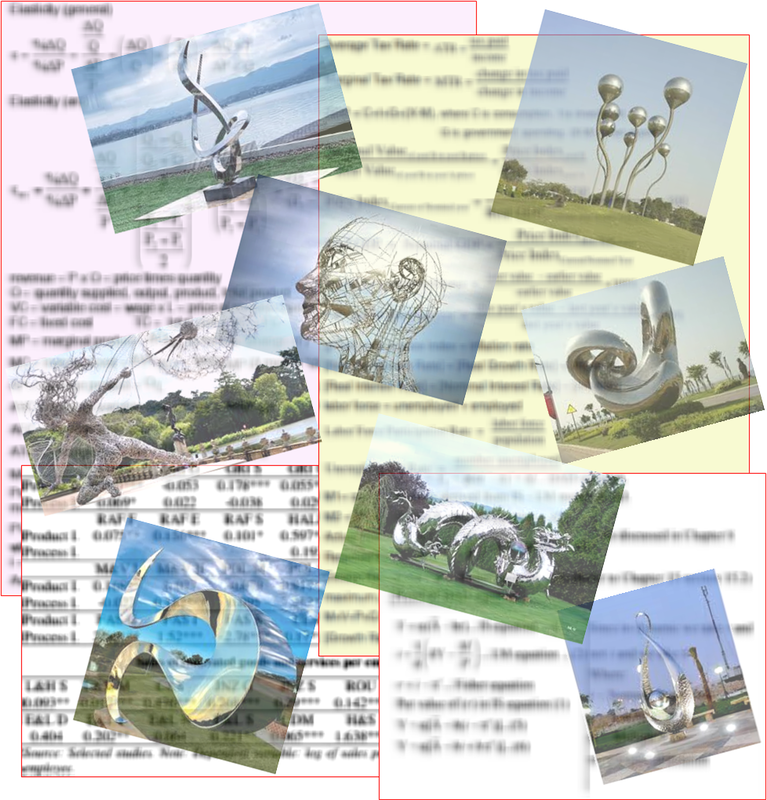 Likewise, if you could take a giant electromagnet and pick up several of the most beautiful stainless steel sculptures in the world today and hang it all in a big museum like a chandelier, that elaborate, suspended mountain of glistening steel would seem like a treasure trove to most people… and if they studied it long enough they’d have an a-ha moment: It’s the magnet that’s holding it all together. In the 1980s I thought that the little formula might be the “magnet” that holds economics together. V ≅ R : N – – – – A nation’s Vitality is roughly equivalent to a ratio between 1) its material and energy Needs and 2) the Resources available to satisfy those needs. Maintaining a vital economy, then, means, first and foremost, making sure a nation’s needs don’t exceed its resources. I call it the vitality ratio. Simple enough. Well, through the years I’ve tried to observe the goings-on in the world objectively, to see if the little formula really is the crux of economics. And yes, I believe it is. There are other important factors, too, such as the quality or “wholesomeness” of the resources, the durability and recyclability of a nation’s infrastructure, the plagues and famines and conflicts (crime and war) that disrupt and weaken the living infrastructure, and so on. Still, I believe that the vitality ratio accounts for about 90 percent of the whole economic picture… and those “other factors” could all be taken into account once the vitality ratio is implemented. Not only is the vitality ratio practicable in economics, but it’s such a simple and elemental concept that I’ve come to believe that maybe it holds true throughout this vast omniverse. It applies to nations in today’s world, to heart cells in the body, to trees in a forest, to the spirits of our ancestors living at level 3 of the 7-level model of the spirit worlds, to angels in the ethereal realm at level 6 close to the source, and to every other “living” thing… everywhere. Naturally, the variables (especially R) have to change a bit when we apply the formula to other realities, since (for example) angels don’t use lumber, iron ore, petroleum, ocean fish, and other resources (R) that our nations use here on Earth. They ingest a different kind of “resource” to give them vitality, which I’ll explain later in the article. Even so, the basic formula seems to remain true everywhere. A nation (or any social system) has to be redefined. We usually think of a nation as everything within its political borders, but to make the vitality ratio work we have to think of it instead as a living system composed of its “basic building blocks,” which are people and products (as I’ll explain in a moment). If we can monitor the needs of that system of people and products, then we can work with the N variable of the vitality ratio. A nation consumes resources (R) for the same reason that a person eats food: To keep it vital. The resources are processed into products that nourish the population and products throughout the system, at which time they move to the other side of the equation (N). The two most persistent economic problems facing most nations throughout history are overpopulation (people like to breed) and overindulgence (people like to acquire more-more-more). Those two conditions seem to inflate a nation’s needs (N) and stress the vitality ratio more than anything else. Various African economies (where mothers often have seven or more kids) and maybe India are stressed by overpopulation; the US economy is stressed by overindulgence. Common symptoms of an out-of-whack vitality ratio (in which needs greatly exceed resources) include inflation, recession, depression, famine, mass execution, mass emigration, refugee crises, war, and ecological destruction. Implementing the vitality ratio as the core of economics, and running it on modern computers and global information networks, would eliminate most of those symptoms. There are lots of other little benefits and challenges involved in getting the vitality ratio to work as a basis of economics for modern nations, and I’ve explored those in a much more exhaustive article that I distilled years ago from an unsuccessful patent application. Living systems on Earth can be reclassified into five categories: biosystems (birds, trees, people, cats, bacteria…), bio-subsystems(organs, body cells…), ecosystems(forests, oceans…), ordisystems (bee hives and other enclosed, close-knit communities of plants and/or animals), and social systems (families, nations, businesses…). All living things on Earth are very complex, nested structures of systems within systems within systems, but each can be broken down conceptually into “basic building blocks” (people and products in a social system, cells and molecules in a biosystem, and so on). Those basic building blocks have to be nourished and maintained, and so they comprise the needs (N) variable in the formula. Every living thing consumes stuff from its environment for nourishment. That stuff makes up the resources (R) variable. So to monitor the vitality (V) of any living system, simply track the material and energy needs of its basic building blocks (N) in relation to the stuff it consumes (R). Again, a simple concept… (but at the same time very complicated when we have to explore the inner workings and interactions of all of those basic building blocks and resources and then devise ways to monitor it all with computers in some standardized way… but that’s beyond the scope of this short article). The most important part of this article (and the most important part of human life) is how it relates to “spirit” and “the central source.” That’s where all of life’s complications melt away into a simple elegance. Everything I described above about the complex interactions of living systems in our world is just a complicated interpretation of the simple elegance that exists in finer realms. The vitality ratio applied to economics or to biology is a complicated interpretation of a simple, elegant process that’s at work in finer realms of spirit. Life force that streams from the central source manifests and sustains countless universes, each being a close copy or template of its adjacent universes. This diagram shows how Earth fits into the picture, with various planetary spirit bodies that lead to the source. This diagram refers to a popular 7-level model of the omniverse, and it’s just one of many arbitrary models or roadmaps of the many spiritual universes in the omniverse… which are probably far too numerous and complex to be illustrated with detail and accuracy here on Earth. But models like this can at least give us an idea of how it all works. The central source is what religions typically call God, Allah, Yahweh, or Brahman. It can be thought of as an eternal, living sun of perfect love, knowledge, and wisdom, and it emits that living love and information, ceaselessly and tirelessly, as a pure, non-vibrating energy or light that could be called the life force of the omniverse. As the life force streams away from the source, it starts to vibrate, at first very fast… then slower and slower as it moves out-beyond into countless dimensions to create and to nourish countless universes. From our perspective of time and space, those universes are all jumbled together in the same space, and each universe remains distinct from the others by the vibration of its life force… like radio signals in the same room. Vitality (V) is roughly equivalent to how much life force an entity* needs (N), in relation to the life force (R)** available from the source… and that life force streaming from the source is apparently boundless. Everything is created and nourished by the life force that streams nonstop from the source. The source exists not only at the center of the omniverse, but also at the center of everything in the omniverse. Every distinct universe within the omniverse has its own soul, or piece of the source… like an omnipotent energy-supply/crystal-oscillator that keeps everything nourished and in sync. Everything in each universe—every planet, every sun, every rock, every living entity—has its own soul. So in that way, you and I and everyone and everything else has our own connection to the source (as well as to each other), and through that connection we each receive a steady stream of life force. That’s why it’s accurate to say, on a larger scale, that everything in the omniverse is alive. For us humans, this inner flow of life force is far more essential than any nourishment we get from the things we eat. 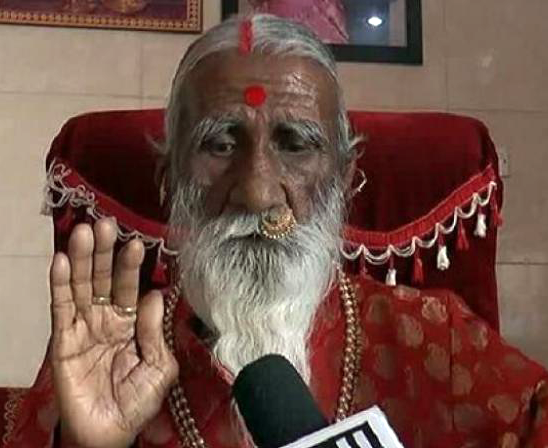 Friends and followers of 85-year-old Prahlad Jani confirm that he hasn’t eaten food for 70 years. His physical body subsists on life force. For centuries mystics in India have claimed that they can subsist on Earth without eating. Instead, they nourish themselves by tapping into the life force. To do that, they rise above Earth’s dramas and complications by meditating… a lot. That is, they have forged a conscious connection to their finer spiritual bodies that are directly nourished by life force, and then they pull that life force out-beyond to nourish their physical bodies. Mainstream scientists, of course, are skeptical… but then mainstream scientists are still busy measuring maya… quantifying the complicated illusions of life on Earth. They haven’t yet begun to explore the simple elegance of spirit. In truth, we all get a steady, limitless supply of life force throughout our lives, from the moment we’re conceived. We continue to subsist primarily on the life force as we age. When our physical body ceases to exist at the end of a lifetime, then our spirit body lives on because it continues to be nourished by the life force. So why do we have to eat food? We “have to” eat food only because we were born and indoctrinated into the complicated illusion of life on Earth, where life kills life and consumes life to survive. Apparently our most ancient ancestors, the Edenites (described in a previous article), subsisted entirely on life force, the way a few mystics in India still do today. I suspect the Edenites were engineering an entire ecosystem on Earth that subsisted on life force… and that was the paradise of legend. When their descendants, the Titans, took over after the contentious age of dinosaurs (also in that previous article), they decided to change things up. They engineered a new way of life based on conflict and competition, so that entities on Earth could get their life force in a more complicated, more “earthy” way… by eating each other and by assimilating the life force of those they ate. All entities would continue to be sustained by life force streaming from the source, but now they were also trapped in the convoluted drama of supplementing their life force by eating each other. If you could take a hundred newborn babies and their moms and cloister them all away somewhere in a loving, protected environment for 20 years, you could see the seeds of Eden reborn. The simple elegance of spirit would return to Earth. The small, close-knit community would be totally isolated from the complicated dramas going on around them in the outside world. The families’ only desire and purpose in life would be to foster their spiritual connections and growth. The mothers would eat only purified foods free of sugars, lectins, and other toxins. After feeding their babies mother’s milk for a few years, they would gradually wean them onto small amounts of purified baby foods while the kids learned how to meditate from the youngest age possible. The kids would spend much of their time meditating… training themselves to live with a constant, conscious connection to the finer spirit within each of them. Some of those kids, if not all, could eventually be weaned off “food” altogether, subsisting on that boundless sea of life force that washes over the Earth in an endless stream. That might well be the first viable step toward the “rise of man” (or resurrection of true man) in the Third Epoch. This entry was posted in Uncategorized and tagged breathairian, life force. Bookmark the permalink.